Save the date! 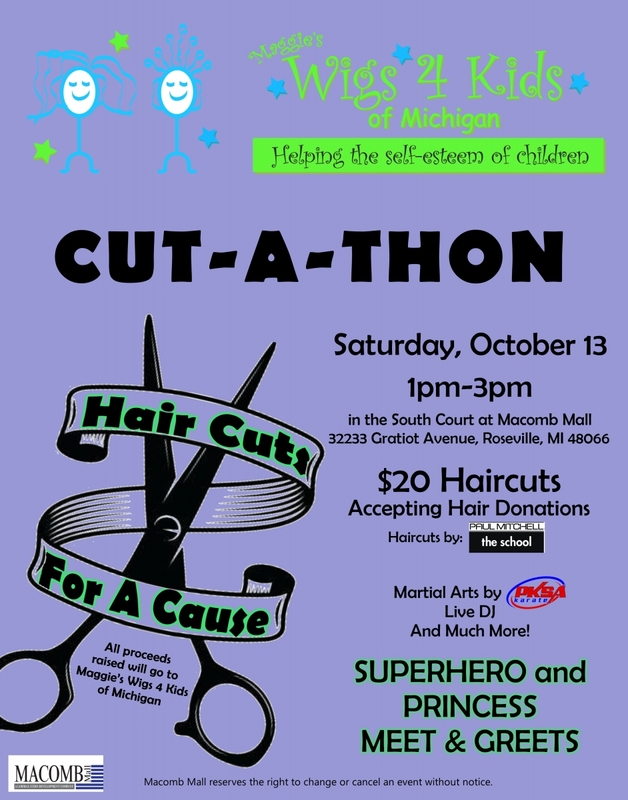 The Macomb Mall is generously hosting their 5th Annual cut-a-thon on Saturday, October 13th from 1-3 pm inside the mall court (32233 Gratiot Ave, Roseville, MI 48066). Join us for $20 haircuts provided by Paul Mitchell the School. Hair donations are appreciated and accepted. Character meet & greets with superheroes and princesses will also be part of this great event! 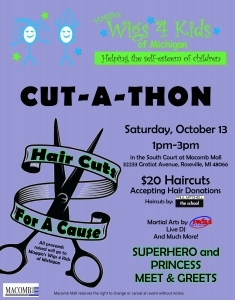 It's a family-friendly fundraiser to benefit Maggie's Wigs 4 Kids of Michigan. See the flyer for more details!